A sought after popular classic! 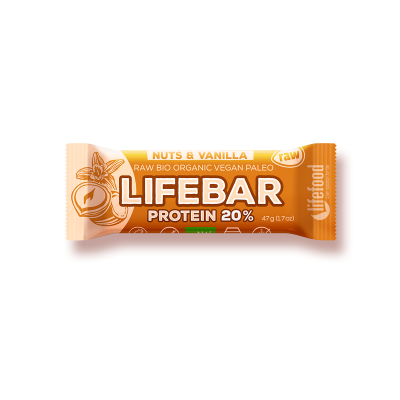 The delicious taste of crunchy hazelnuts with a hint of vanilla makes this bar irresistible. A touch of salt enhances the taste and dates add sweetness. This hazelnut bar is a must have for your handbag or your backpack. 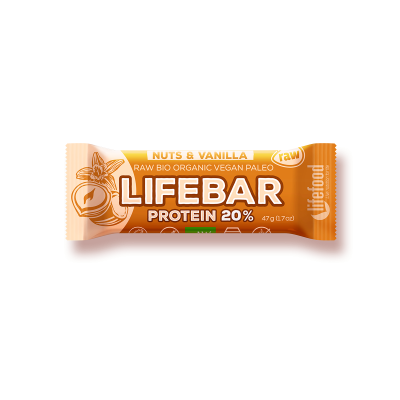 The protein content of this bar is 20 % of its calorific value. Dates*, Rice Protein Powder* (22 %), Hazelnuts* (8,2 %), Hazelnut Paste* (2 %), Extra Virgin Olive Oil*, Ground Vanilla* (0,1 %), Salt.